"100 percent off" is a pretty good deal. 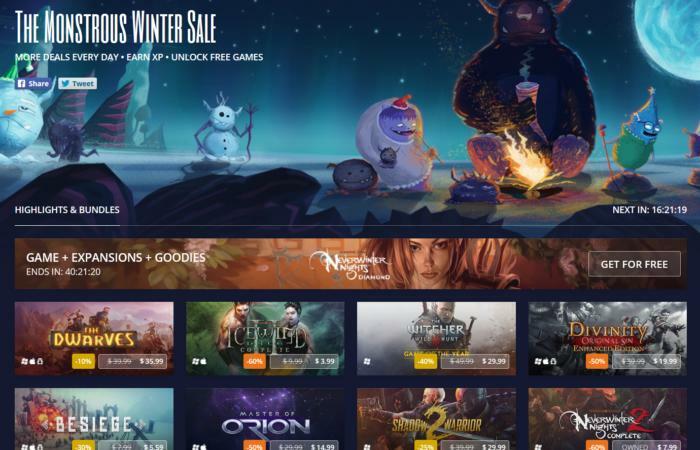 The annual Steam Holiday Sale won’t kick off for another few weeks—rumors peg it on December 22 again—but DRM-free gaming rival GOG.com is already getting into the festive spirit. GOG’s Monstrous Winter Sale kicked off today with a whole slate of deals. And while it might seem like we just got done with Thanksgiving sales, GOG is at least willing to make it worth your while. It’s becoming tradition that GOG sales arrive bearing a couple of free games, and the Monstrous Winter Sale is no exception. This time it’s Neverwinter Nights Diamond Edition, which includes the original BioWare RPG plus three expansions. Is it a great game on its own? Not really. But the appeal of Neverwinter Nights lies in mods, of which there are a lot to pore over. Grab it, find a modding guide, and go to town. It’s only free for the first 48 hours of the sale though, so be sure to pick up your copy as soon as possible. 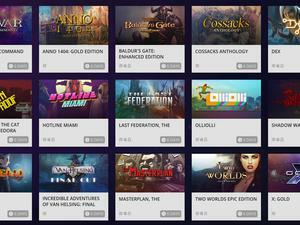 GOG’s also tossing in a slate of “free” games if you earn enough XP during the sale. There are a bunch of menial tasks (like visiting the GOG Galaxy page) to garner small amounts of XP, but this is mostly a “Buy games to get free games” situation. The bottom tier offers Shadow Warrior Classic Redux, which isn’t too exciting considering you can play Shadow Warrior Classic for free. Accrue enough XP though and the next two tiers are a huge step up—Shadowrun: Dragonfall, one of the best isometric RPGs in recent memory, and Stasis, a surprisingly-good isometric adventure game in the vein of the classic Sanitarium. It’s an excellent line up and worth checking out, even if the near-constant onslaught of game sales means big green tags boasting “75 percent off!” don’t seem to mean as much as they used to.